(1) 28" pontoon boat bench seat. These pontoon boat seats make up our Classic CG1906 pontoon furniture set. can these pieces be switched around? 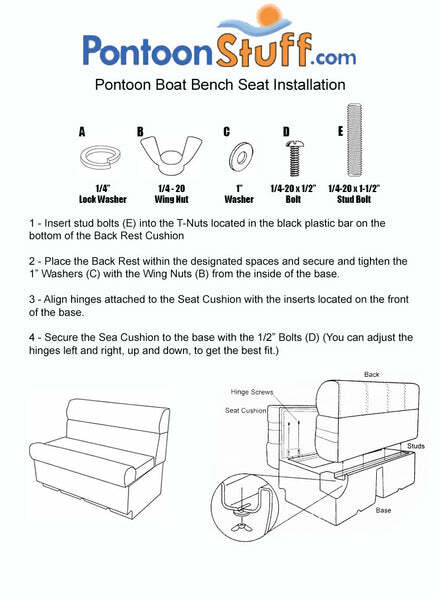 Yes you can change the layout of these pontoon seats. I have include a link to our Pontoon boat deck designer. You can enter the measurements of your boat and move the pontoon seats around to find the exact layout you want for pontoon restoration.